Miami, Florida, March 17, 2017	(Newswire.com) - Over 250 community and philanthropic leaders came together to celebrate the Circle of Heroes 10th Anniversary Luncheon at Fairchild Tropical Botanic Garden in Coral Gables. 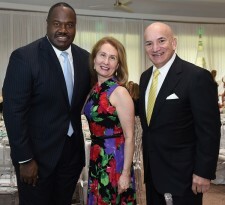 The event raised over $175,000 in support of Jackson Health Foundation's IKF Wonderfund, a program designed to help critically ill children from countries around the world, gain immediate access to life-saving or life-changing medical treatments. "The Circle of Heroes 10th Anniversary Luncheon was a marvelous success," said Keith R. Tribble, Jackson Health Foundation president and CEO. "The funds collected from this event contribute significantly, each year to our ability to help children from all over the world, receive the best care possible at Holtz Children's Hospital." 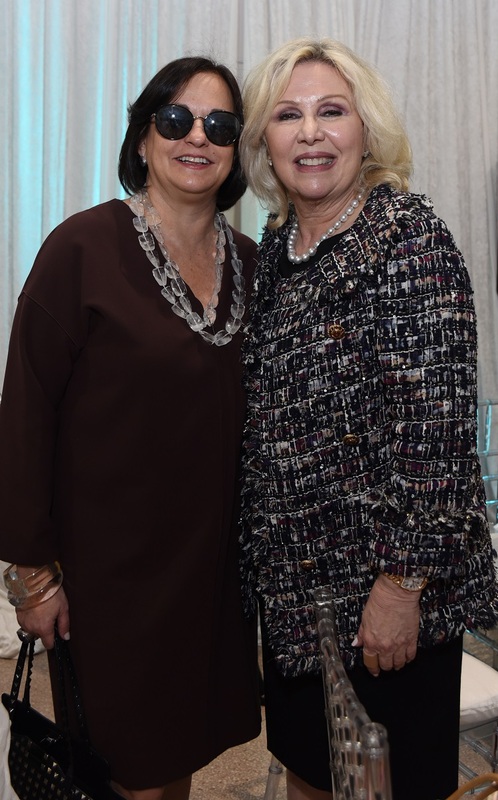 The glamorous affair would not have been possible without the hard work and dedication of the Circle of Heroes luncheon committee led by event co-chairs Nerea Alvarez, Susy Dunand-Silva and Ana Oliveira. The luncheon committee included Gigi Arrieta, Angela Mantelle, Janelle Prieto Garcia, Chary Rico-Toro, Maria Sarria and Gabi Souto who came together and worked diligently to commemorate the special occasion. "I am very grateful to everyone who participated in this wonderful celebration of life to support so many children in need from around the world," said Mariana Martinez, chairwoman of the IKF Wonderfund Advisory Board and a member of the Jackson Health Foundation Board of Directors. "Celebrating ten years of our Circle of Heroes is a great accomplishment and I am thrilled with the results." Univision 23's television anchors from "Noticias 23 Al Amanecer", Eileen Cardet and Jorge Hernandez, served as celebrity hosts, while celebrity chef Michelle Bernstein delighted attendees with a delicious menu. A highlight of the luncheon included the addition of 20 new Circle of Heroes members including former professional baseball player Alex Rodriguez "A-Rod" who sent a video message supporting the cause. Another emotional moment took place during the program's introduction when celebrity hosts introduced the afternoon's honorary guests: Andrea Chirinos, Alfred Cardenas and Gabriel Martinez, three beautiful children who have benefited from the work of IKF Wonderfund. The luncheon also received the support of numerous sponsors including Aqualina Resort & Spa on the Beach, Altus Foundation, Aurum Collections, A-Rod Corp, Bulla Gastrobar, Capretto, Integrity Aesthetics MD, Massage Envy Spa, MedicalEcart, Moon Palace Jamaica Grande, Neiman Marcus, Pisco y Nazca, Saks Fifth Avenue Dadeland, Sarria Family, Southern Glazer's Wine & Spirits, Spirit Airlines and Viva Wyndham Resorts. The Miami Herald and Selecta Magazine served as media partners. IKF Wonderfund, a program of the Jackson Health Foundation, provides support to children from around the world who are in need of life-saving and life-changing medical care that is not available to them in their home country. IKF counts on the support of a dedicated group of benefactors- the Circle of Heroes - whose generosity and volunteerism, make a difference in the life of each child IKF serves.